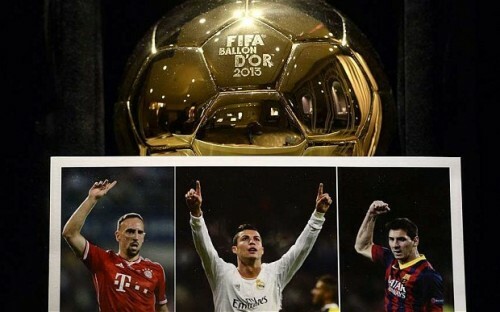 FIFA BALLON d'or TONIGHT WHO WOULD WIN? Among the players who will be appearing are Frank Ribéry, Lionel Messi, Christiano Ronaldo #CR7, Nadine Angerer, Marta and Abby Wambach, along with coaches Jupp Heynckes, Jürgen Klopp, Pia Sundhage, Silvia Neid and Ralf Kellermann. There will be announcements for the FIFA Player of the Year awards for men and women. Also the FIFA World Coach of the Year for Men’s Football and the FIFA World Coach of the Year for Women’s Football. The other gongs to be presented are the FIFA Presidential Award, the FIFA Fair Play Award, the FIFA Puskás Award – for the scorer of the most beautiful goal of the year – and the FIFA FIFPro World XI for the best player in each position of 2013.
Who will be the World Best? Re: FIFA BALLON d'or TONIGHT WHO WOULD WIN?